Get ready to catch FUTURE as he takes to the stage LIVE at Veterans United Home Loans Amphitheater on Sunday 20th August 2017! As one of the freshest artists right now, Future is one not to be missed and here's your chance as he continues to storm the world, North American fans get your tickets for a groundbreaking effortless show full of crowd cheering moments as you can Future's powerful flow!! 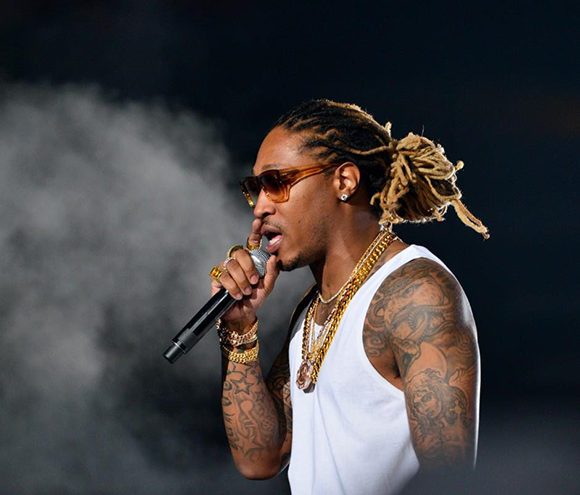 American Hiphop artist – Future is proving that he is surely the future of music. Starting off from Atlanta, Georgia, he begun as part of a collective, further down the line, he kicked off his solo career and between 2010 – 2011, mixtape after mixtape churned out, it was only a matter of time til he would be picked off by a major record label. 2012 brought his album, Pluto and gained nothing but positive reviews. But it wasn't until his second album, Honest, that he would explode onto the charts! The rest is history!